You’re pregnant! Congrats. I don’t know about you, but I was so excited to get pregnant, and the moment it actually happened, I started to panic. Just seeing that positive pregnancy test made me realize I had no idea what I was doing! Apparently, this is a very common feeling. It’s an overwhelming feeling to have so much responsibility placed on you, without actually knowing what to do about it. Relax mama! You got this, and this list will help give you a good place to get started. 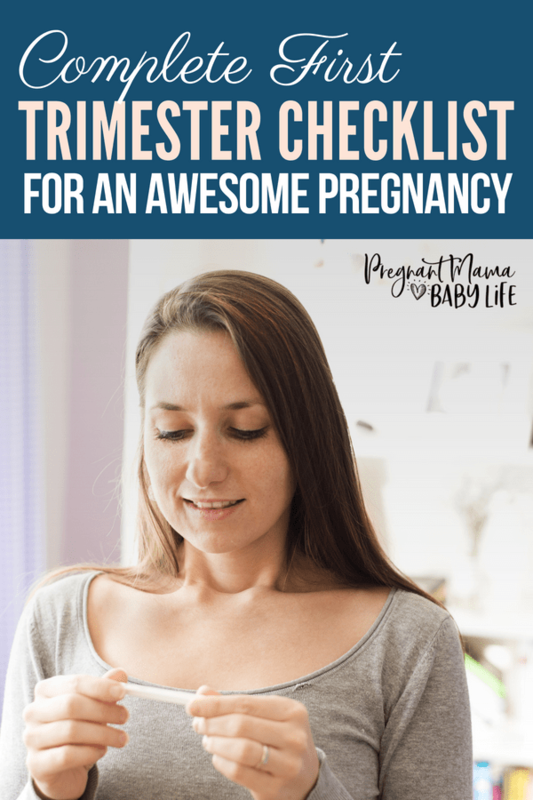 This list is everything you should do during your first trimester. The list is so complete, I’d almost say its overkill. That being said, don’t feel like you need to do everything. Go through the list, print out the checklist and work your way through the most important ones. Although, I would work through the fun ones too! The very first step to take during pregnancy, check that you are in fact pregnant! A positive home pregnancy test is usually sufficient, but you can also double check at your doctor’s office (or midwife!) with their urine or blood test. Too early for a positive test? 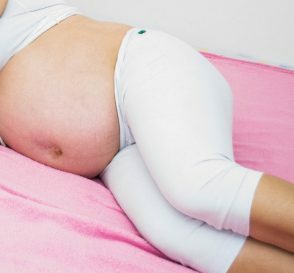 Check out the 7 early symptoms of pregnancy. Prenatal vitamins help ensure that you and your growing baby get the minimum amount of nutrient necessary for healthy growth. And not all vitamins were created equal! There is a difference in the quality of vitamins. You want vitamins that you can trust are free of unknown additives and ones that your body can absorb well. My favorite brand and the ones I’ve taken for years are Baby & Me. These are one of the healthiest brands of prenatal vitamins I’ve found. They are made from whole food sources so the absorb better. They also contain folate instead of folic acid, which is the better type of this essential nutrient (you can read the whole break down between the two here). Folate should really be taken before pregnancy, but it helps to start ensuring you get enough of it during pregnancy too, as it can prevent spinal deformities. It’s also just as important to start taking a DHA supplement. DHA helps your babies brain, eyes and nervous system develop properly. There are even studies that suggest that mothers who take DHA supplements during pregnancy have babies who develop better hand-eye coordination by the age of 2 1/2. A DHA supplement is usually suggested for pregnant mothers because in general, it’s recommended that women avoid high amounts of fish during pregnancy due to mercury contamination (a neurotoxin). Now, that being said, fish oil supplements ARE made from fish. Which can indeed contain high levels of mercury too. This is why it’s important to buy high-quality fish oil, from a reputable company who know how to make fish oil supplements with pregnant women in mind. That’s why I use Nordic Naturals. They use smaller fish species which are known to have less levels of mercury. Their prenatal DHA soft gels are small and easy to swallow and I never experienced any “fishy burps” with these. (Keep taking them postpartum too, as they can help prevent postpartum depression. 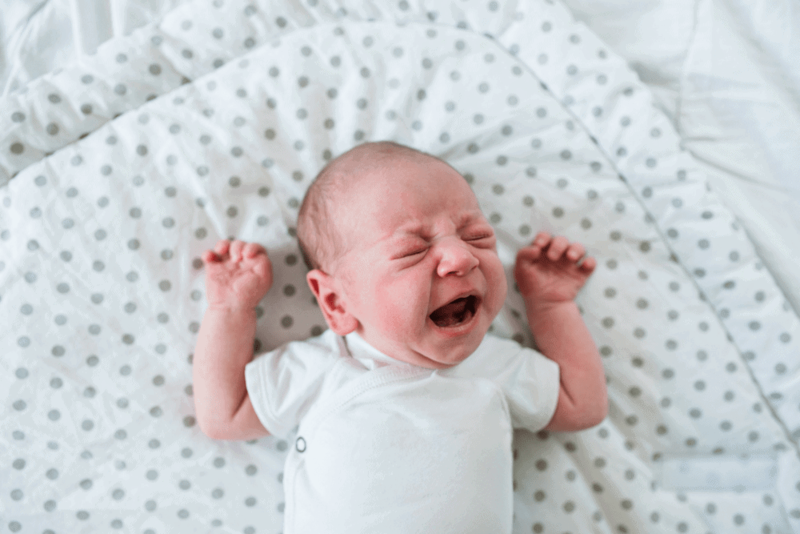 You can read all about my favorite birthing course that focuses on reducing pain over at this post. Some health insurances offer benefits for expecting moms if notified early enough. They may even give free gifts, in exchange for you completely certain “tasks” on a specified list. You may ask why your insurance company would do that? But it really does benefit both of you. They try to give an incentive to new moms to get early prenatal health care, which can help prevent problems and be less expensive in the long run than paying for costly medical care for women who don’t receive prenatal wellness exams and catch complications early. These programs usually require you to be in the first trimester of your pregnancy, so make sure to research it early to reap the most benefits. Plus you need to know what kind of care your insurance covers so you can plan accordingly. For example, most insurances won’t cover home birth, and may not even cover a midwife. The next step on your to do list needs to be choosing a provider. This is a big deal too! Finding a doctor or midwife who meshes with your personality and lifestyle will help you feel comfortable with the big choices and decisions you’re about to be making. For example, if you are considering a home birth, already know you DO NOT want any extra interventions, a midwife might be a better option for you. If you already know you want a hospital birth, complete with an epidural, an OB-gyn may be a better fit. Just make sure whoever you choose to birth with makes you feel at peace and comfortable about what you do and do not want. This is YOUR baby and YOUR birth experience. Being supported by your provider is a must. 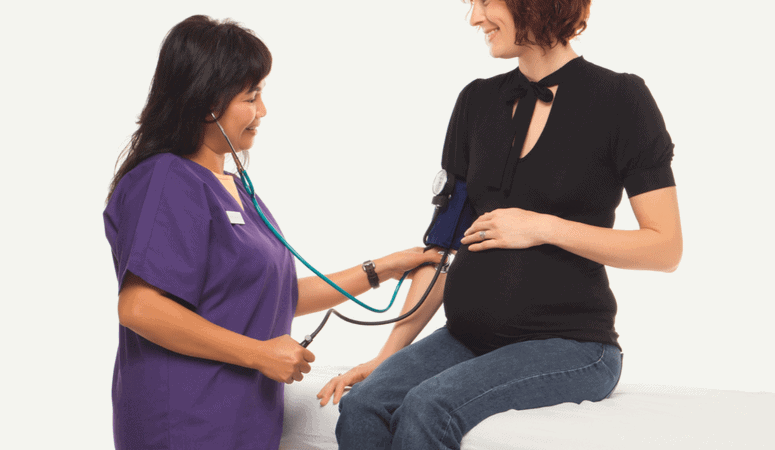 It’s time to set up your first prenatal appointment! Here you will probably get a pap done (depending on how long its been since your last one) along with a urine test. They may even try to find a heartbeat depending on how far along you are. This is an exciting and nerve-wracking appointment. It will also come with a boatload of paperwork. So allow yourself enough time to get their early to complete it. If you are a smoker or drinker, there is no shame in this, but it’s time to stop. I don’t need to go into all the details of how bad smoking is for your baby, or how alcohol can affect their development. You know it’s time to stop. If you think you’ll have trouble with this, get support now. Find a buddy who will hold your hand through the quitting process and talk with your provider about effective ways to quit. Unless your high risk, you don’t have to cut ALL of your caffeine out, but you should definitely limit it. You’re probably getting more caffeine in a day that you realize so make sure to analyze all your sources. Coffee, soda, tea and chocolate are the most common sources. I personally couldn’t go cold turkey with my coffee, so i cut out ALL the other sources, and limited myself to one, very watered down cup of coffee in the morning. So figure out what’s most important to you, and cut out the rest! If you haven’t been eating as healthy as you “should” now is the time to start. Start adding lots of nourishing foods to your everyday diet. You can’t really go wrong by adding lots of fruits and veggies. Eating well can be a big undertaking, so if you are feeling overwhelmed by it, start with baby steps. You can start by reading a few books that may help you figure out a good way to eat well while pregnant. A great book for this is this one. Morning sickness can happen in as many as 50% of pregnancies, and it’s a total drag. But, there are many things you can do to help nausea and prevent the morning sickness from rearing its ugly head. We have a whole list of natural remedies for morning sickness that are not only healthy alternatives to drugs but also work! One of the very first things most providers will ask you about is if you want genetic testing done. Depending on your age and other risk factors, your insurance may or may not cover this. Genetic testing can help you and your provider determine if your baby is at higher risk for health problems. The test it self cannot predict or diagnose an abnormality, it can only identify those with a higher than normal risk, and to see if more testing is needed. It’s usually combined with an ultrasound. For more info you can read up on the first trimester testing at American Pregnancy. Something to consider when deciding if these tests are for you, is what will you do in that situation? For me, no matter what I knew I was going through with the whole pregnancy no matter what, so it wasn’t worth the extra stress for me of getting tested and knowing if i was at a “high risk” then others. The problem with many of the symptoms is that they can be similar to the normal symptoms of pregnancy. Some bleeding is normal (it’s called implantation bleeding.) But heavier bleeding and cramping can signal a possible miscarriage. If in doubt, call your doctor. You can find more in-depth info on different symptoms here. Announcing your pregnancy can be super fun and exciting for everyone involved. There are lots of ways to announce your pregnancy. If you’re wondering when is a good time during pregnancy to announce this? That’s a very personal question to ask. There is no “right’ time for everyone. Depending on how you would handle the situation you may or may not want to tell people earlier than that. Personally, I told people earlier than that. Reason being, if I were to have a miscarriage, I would want those close to me to know. I know I could count on their support through such a trying time, and people would be more understanding of my feelings at work if something like this were to happen. I tend to wear my heart on my sleeve though, and don’t do well covering up emotions. If you are more private, this may be something to consider. If your looking for awesome pregnancy announcements, a quick search in Pinterest will give you loads of inspiration! Now is a fun time to start tracking your babies development. 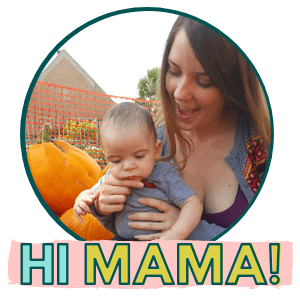 Sign up for weekly email updates to see weekly updates of your little ones growth. It’s fun to know when they are hitting certain milestones, and what you should be expecting soon during your pregnancy. If you think you’re going to want to keep up with belly photos, nows the time to start! You can keep it simple and find a sunny spot to take weekly or monthly photos, or you can use fun signs and props. These are great keepsake photos and you can even make a collage of your growing belly. If you tend to find yourself stressing out often, nows the time to start focusing on ways to decrease the stress in your life. This means taking a hard look at what stresses you out most in your life right now. It may be helpful to make a list of the top 10 things and see which ones you can get rid of, and which ones you have to learn to cope better with. For example, if you have a friend that tends to create a lot of drama in your life, maybe it’s time to limit the time spent with them (if at all.) If it’s your job is causing you extra stress, it may be time to find a new one, or find ways that make your life a little easier at work. Actively relaxing is very different from your typical R&R. Active relaxation is finding techniques to practice relaxing different parts of your body. Things like yoga, deep breathing, and guided meditation are all very helpful. Not only will this help you reduce the ugly effects of stress on you and your baby, but it’s great practice for labor. Learning to fully relax your body will help reduce labor time and pain! If that’s not reason enough, I don’t know what is. If you’re not used to these kinda of activities it may seem difficult at first, but keep at it! Over the course of a few weeks you’ll feel the effects of all your efforts! Mindfulness can be a game changer. While you’re practicing your relaxation techniques, add 5 minutes at the end to quietly bond with baby. You and your baby are connected on a very deep level during pregnancy. Take a few minutes to talk to your baby. It can be mentally if you feel too silly talking out loud. Send loving messages, and let them know you are here for them, and you will be there to guide them through life. Let your baby know they are safe, and you are there all the time. 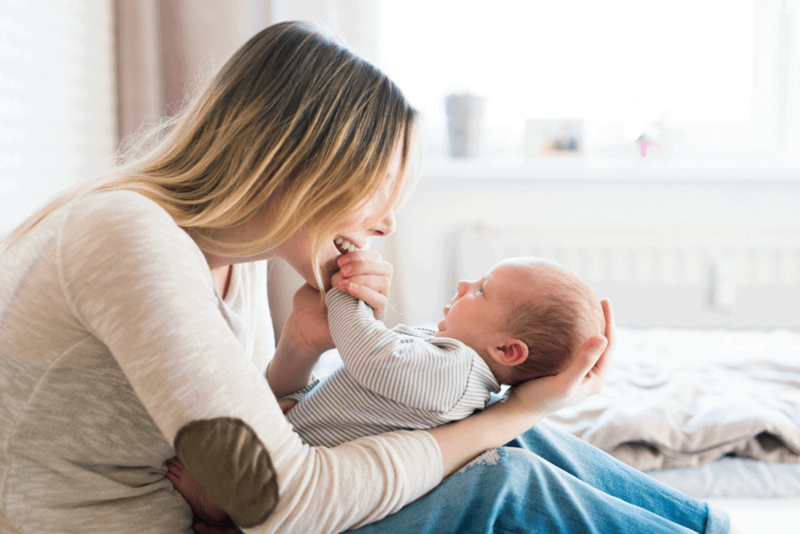 If you don’t already have extra money set aside specifically for baby, now’s the time to start preparing financially for baby. Babies don’t have to be super expensive, but they do need a lot of basics. Set yourself a budget to get started and divide it over the months you have until baby arrives. Check out: how to save money on a new baby. This is a fun one. Start writing down names you really like. Whenever you come across one that has “a nice ring to it.” Add it to your list. You and your partner may have a hard time picking a name out you both like. So having a long list increase your chances that you’ll both like one. If you are bad about drinking enough water, it’s time to get in the habit. You can use a water tracker until it begins to feel more “normal.” They have a cute pregnancy one with a baby size tracker! There are lots of ones like this on the market though! Just find something that keeps you motivated! This may not seem like a big deal, but it is. I didn’t worry about my weight gain during pregnancy, and I gained nearly 70lbs. Do I regret it? Yep. Not because of the weight gain itself. I actually lost nearly all of it by 6 weeks postpartum. (A perk of breastfeeding.) But the after effects it had on my body are a whole different story. I ended up with something called recti diastasis. My abs became so stretched out, they have a gap in them and it takes a long time to repair. I’m still working on it. That being said, you will still want to eat ALL THE FOOD. So find lots of healthy snacks you can keep in the house, and the car, and at work. Foods like fruits or veggie sticks and hummus are great options. I also love Larabars. 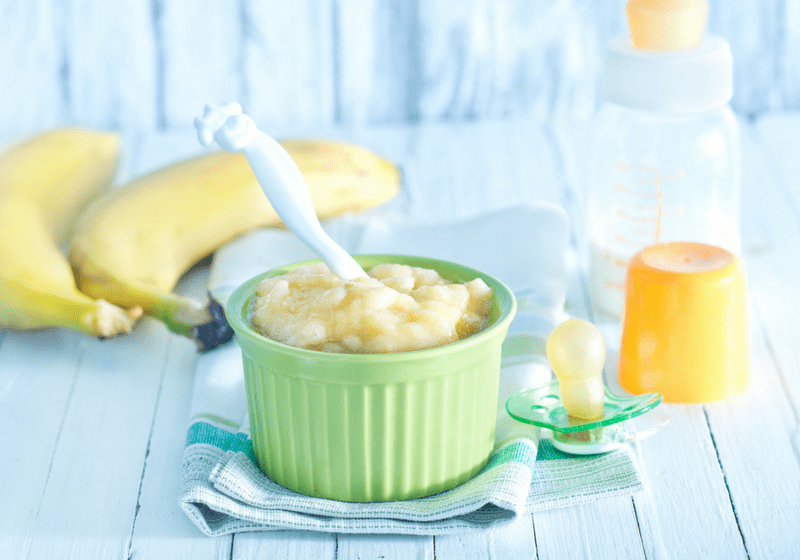 They have minimal ingredients and the dates have been know to help speed up labor! Plus, they are delicious. I usually don’t like energy bars, or fruit/nut bars too much. But I love Larabars. For example, the cashew cookie flavor is literally made from just cashews and dates. And it is so stinkin good! I have no idea how they do it. It’s time to start taking daily walks! Find a partner to go with you and start trecking! Walking during your pregnancy will help keep your muscles moving and more limber. As your body grows, you’ll be grateful you started early. Walks can even help you prevent pre-eclampsia (pregnancy-induced high blood pressure) and reduce the effects of fatigue, cramps, varicose veins and constipation. It also helps your body prepare better for birth. Plus by the time your in your third trimester, you’ll be so grateful for your walks, as they will help reduce all sorts of random aches and pains. When baby comes, your time is going to be limited. So one last hoorah is a great idea. My husband and I went to New York City when i was 4 months pregnant, that was 3 years ago and was the last vacation we have gotten to take since then. Now, obviously that doesn’t have to be the case for everyone, but we fondly talk about that trip often and it holds lots of special memories for me. If you think you might like to have a vacation before your little one comes, sooner is better than later. It’s not recommended to travel late in pregnancy, and it’s harder to get around. My recommendation is to plan one at 4 or 5 months along. (As long as your provider feels it’s safe.) That way your past the 1st trimester exhausted phase and hopefully past the morning sickness too.